This weekend we celebrated Christmas with our Royal Family. 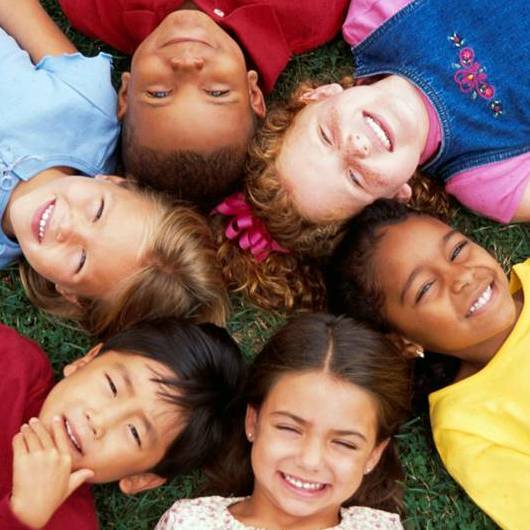 Children who are, or who once were, part of the foster care system. You may have read in previous posts, I have a heart for kids living challenging lives with little hope or support. It had been on my heart to foster for years. Originally, I hoped we could foster to adopt. Recently, I hoped to foster through respite care or temporary placement to help restore families. There are several reasons that prevented us from pursuing my dream but the main reason– it wasn’t a shared dream. Even though single people can foster, married persons must both share the desire. I’ve processed feelings of anger and resentment for years. Only recently did I come to appreciate why God put a barrier there. It’s not a part of His plan and may prevent me from accepting His next appointment. Sometimes I get swept away with daydreams and my creative mind paints a beautiful picture of the future. The picture fades, washed by tears inspired by reality. Yet the original vision remains imbedded on my mind. My wild imagination spins a false scene of how the plan will unfold, but the origination of the dream isn’t my own creation. The visions come from the One who can make them possible in His way, in His timeframe. It’s my desire for predictability [control] that tries to figure out the pathway the vision will come to fruition. I’ve made huge messes forcing my own agenda instead of waiting on my Lord. It’s hard to describe a calling on your life. How does one vocalize something so intimate, so personal. It’s beautiful when God can take the desires of your heart that are in line with His will to bring to fruition the visions He has etched onto your mind. How can I describe the perfect peace that soothes your entire body knowing your heart and mind are aligned with your Creator. There are no words. There is an image on my heart and mind of children of different races who are my own. I’m never clear if I am their mother, grandmother, or simply a mother-like figure to them. But there is an assurance on my heart that they are somehow connected to my heart for more than a season. This past weekend, I got a glimpse this vision that tickled my heart and made me giggle. The entire weekend was spent enjoying the laughter of children from mothers of other colors. As my daughters friends say, “He’s a brotha from anotha mothu of a different culla.” A crazy dream for a very pale mother of one, eh? Many children touched my heart this past weekend as we gathered for our Royal Christmas Reunion. With each interaction, I have one-on-one conversations with the kids and tuck them away in my heart. I lift them in prayer so I suppose, in this way, I am their foster mother. An intercessor on their behalf. Our home and my car were filled with giggles, sibling teasing, and meaningful conversations this past weekend. If we haven’t adopted and we aren’t foster parents, how can this be? Just before leaving for Belize, I received a call asking us to consider hosting a friend from my daughter’s school who was in a challenging situation. Around Thanksgiving, the application and interview process progressed. Two weeks ago, a sweet daughter from Japan moved into our spare room. My husband, who wasn’t open to foster care, was suddenly open to this idea. Perhaps it is the temporary placement, his gift of hospitality, or his sense of adventure that make him an ideal candidate. The AFS interview encouraged us this child would indeed be a member of our family, well beyond her short stay. A relationship is quite often one to last a lifetime. If she does return to the US for college, it will be nice to provide a home away from her home in Japan. You will read more about this special daughter in future articles. In just two weeks, our time has been rich with experiences. She will be in my heart forever. The other child is a friend of my daughters who affectionately calls me “Momma Hirsch”. He hasn’t told me his complete story but I know it wasn’t easy. He has been on my heart since their sophomore year of high school. It was not a wise option to bring him into our home and legally adopt him although I considered it often. It hurt to see him hurting but I trusted God had a plan and purpose for him. I still trust His plan. After our first summer serving at camp, my daughter and I both felt prompted to invite her friend to camp as a teen assistant. Both he and her boyfriend at the time trained and attended camp last summer. Both were awesome Godly examples to the kids, especially the young men who are in need of positive role models. Both guys had and have a unique story that makes them who they are. Both hold a special place in my heart. I will be writing more about this past weekend in future blog posts. I realize my posts are way too long to follow. I do encourage you to subscribe to my blog for new posts to hear the rest of this story and to watch how God uses all of us in accordance to His perfect plan and purpose. The visions are precious glimpses from God. I’m learning to wait for Him rather than turning the page too quickly. I’m also learning that hope is not a wish. It is complete surrender to God’s will– His perfect will, not the providential will that teaches us lessons. Read more on this in today’s entry from Oswald Chambers [click here].